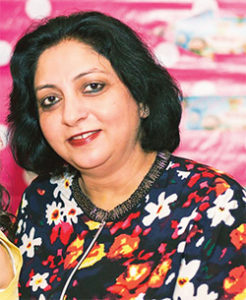 Vaneeta Arora, Director – Housekeeping, The Park – New Delhi, shares the truth about the humdrum in the daily routine of a housekeeper. The housekeeping job is not glamorous, nor is it high paying when compared to other departments. It is tedious at times and often regarded as a thankless job, but unquestionably housekeeping is the heart of any hotel. It is the dynamic balance between the human and the machine which helps the modernday housekeepers to stay calm and carry on. 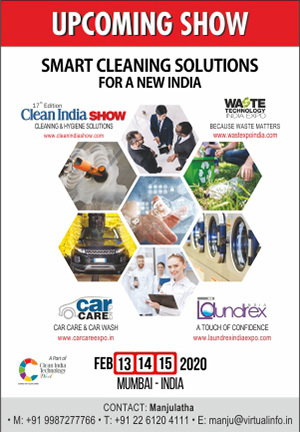 Though technology has aided the housekeeping staff to carry out a few daily jobs, it hasn’t exactly helped to overcome the age old basic problems; moreover in some instances, it has burdened them with more work pressure. The Number of Rooms Serviced: Previously the room attendants had to service around 10-14 rooms per day. This concept has drastically changed where the room attendants now makes around 16-19 rooms per day. Considering the fact that to escalate revenue, many rooms are sold twice or even thrice a day. To maintain the high standards of cleaning for a star category hotel and with the introduction of online portals such as TripAdvisor, where any negative comments by the guest can damage the reputation of that hotel, the housekeepers are always on their toes. Every time, the housekeepers run that extra mile not only to keep the room spotless and exceed the guest expectation but also to provide the rooms in specified time. The Mattress: Hotels have realized the value of mattresses that do not require flipping. Whether it is a pillowtop, latex, or high density open-cell poured polyurethane foam mattress, these mattresses are meant to be rotated, not flipped. But over time, we have increased the thickness of the mattress considerably, which have directly increased the weight of the mattress. There was a time when 4 inches to 6-inch mattress thickness was considered standard, but now it has been raised to 10 to 12 inches, which has added nearly 10 to 20 kilos (depending upon the brand) extra for the room attendants. Imagine those super luxury pillow-top beds that many hotels now have and a housekeeper lifting around 40-45kg just to make the bed. To make matters worse, many hotels don’t provide them with fitted sheets. The Duvet: Sir Terence Conran takes credit for introducing the duvet to Britain and us housekeepers, is credited for replacing the woollen blankets and introducing duvets to the hospitality sector. Though making the bed with duvet is quicker, it’s not easier. Considering the weight of the duvet and the standard process that needs to be followed while putting it in duvet cover, it’s back-straining for the room attendants to make the beds. 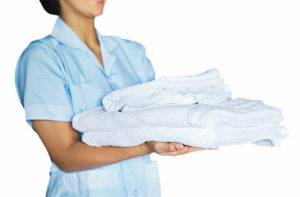 The housekeepers have a 50% higher injury rate than all other hotel workers, and many have suffered work-related pain. The Design & Furniture: The problem is that most practitioners, thinkers, architect and interior designers who engage with service design and physical design selections emphasise on the experience of the customer & attractiveness of the property while ignoring the realities, voices, and bodies of workers. It’s no holiday for hotel workers when bad design burdens them. Even today the Housekeepers are rarely part of the design team and even if they are in, their voices and suggestions are rarely considered. The common problem of introduction of linen chutes, distance of the pantry from guest room, dragging heavy chamber maid’s trollies over carpets, moving heavy furniture in rooms while cleaning and many more, are the common problems the housekeepers are facing to date. The Bathroom: Every time you clean a bathroom, you’re exposed to fluids, and if they include bloodborne pathogens, it can be frightening. Over the years, very little has been done to overcome the health hazards faced by the room attendants. It is a major area which needs to be focused and worked upon. 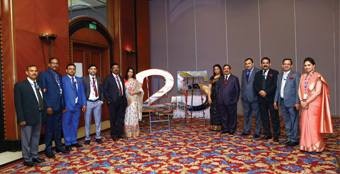 No Off Season: In hospitality sector, there’s no such thing as “off-season” anymore. The 100 days of summer are long gone and the housekeeper has to continue with the tedious job throughout the year. The “extra cleaning”, “deep cleaning”, “spring cleaning”, “super-room”, “snagging”, “de-snagging”, are all done all year round and there is nothing left for the off season. Conclusion: Based on 60,000 guest feedbacks from over 10,000 hotels, tour of the top 10 features of guest satisfaction, are directly linked to housekeeping – room cleanliness, bathroom cleanliness and smell topping the list. Also, to note, is the dissatisfaction with the delay in room readiness, which relates to housekeeping. Reviewing all of these brings us to the perennial question – Is there a Better Way?